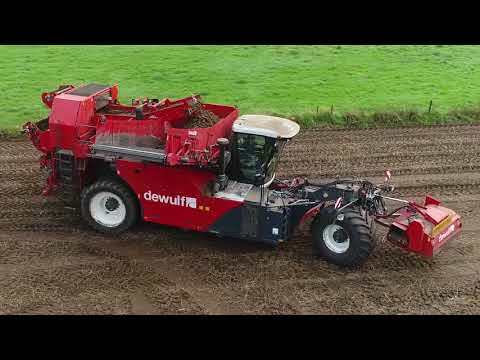 In 1989 Dewulf achieved a milestone with the introduction of the R3000, the very first self-propelled three-wheeled offset potato harvester with gooseneck steering. 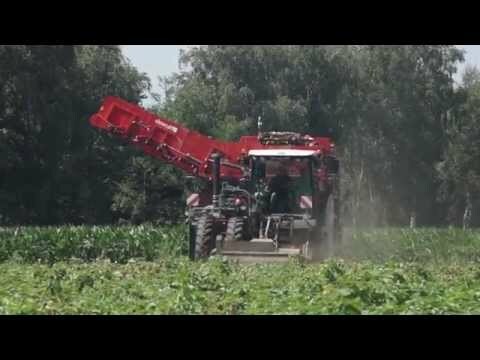 The striking harvester stood out from the rest thanks to unprecedented manoeuvrability and the ability to continue harvesting when others were forced to stop. Since its introduction we have carefully continued to develop and improve the machine. 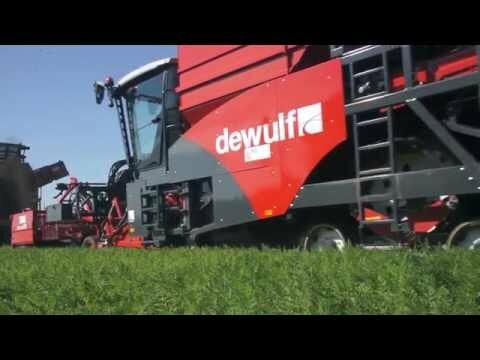 In 2014 Dewulf presented the fifth generation of the reference in self-propelled 2-row sieving harvesters. 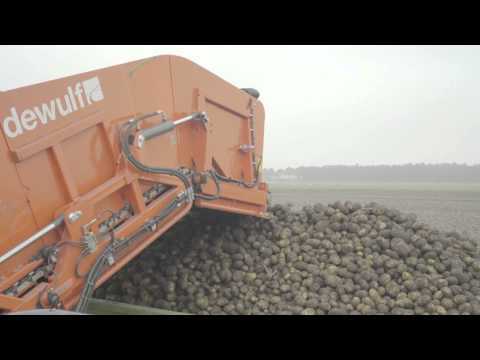 With its standard equipment and additional options, the R3060 assists the driver in every way possible to achieve the best results when harvesting products such as potatoes. With the arrangement of the spacious new Claas cabin, Dewulf has created a very enjoyable working environment focused on the driver. The joystick operation and control-units for the harvesting and driving sections provide the driver with the luxury and simplicity required to operate the machine. The Scania DC9 385A Tier IV Final (Ad Blue) engine generates a powerful 350 hp and will impress you with its smooth running and low consumption.